I finished a new carving bench this afternoon. So which tools did I use for 52 holes through 40mm beech? 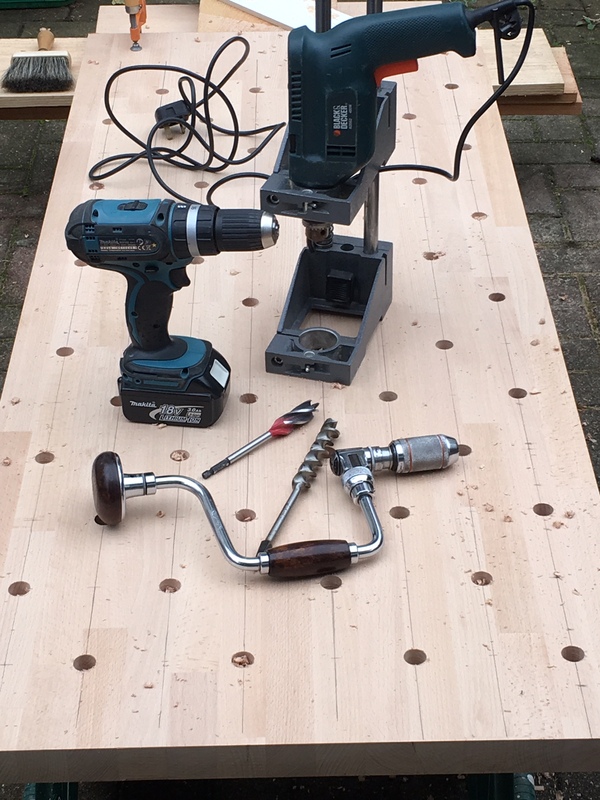 The drill press and wood beaver; the MAkita cordless and same or the brace and bit? This might be a quiet workshop but I’m not a complete masochist. I started with the drill press but the B&D ground to a halt straight away. In the end it was the Makita that saved the day. Three battery charges later and it was Swiss cheese.